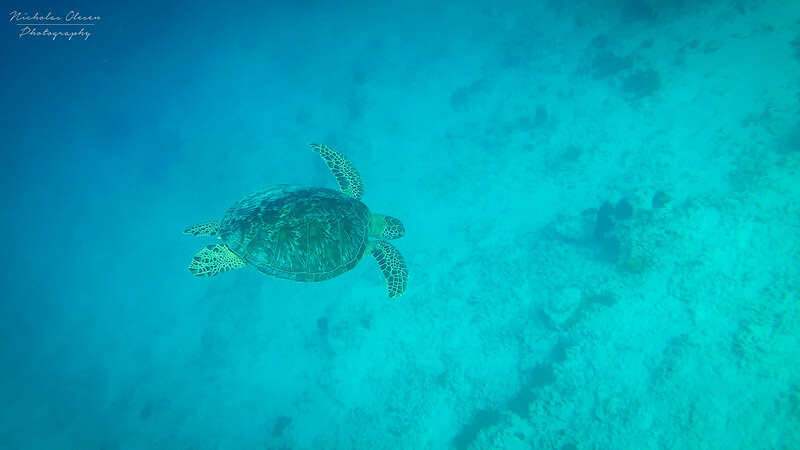 I’ve snorkeled several times before and have always wanted to see turtles, but (unsurprisingly) I haven’t had much luck with this dream of mine! Until the Gili Islands that is… we had one day on Gili Trawangan, and the mission was clear: to find a sea turtle. Well, we didn’t. We saw three! Off the north eastern shore of Gili T the beach gently slopes down, with some coral and grassy seabed, where turtles often go to feed. We swam around for about 10 minutes, when in the distance I suddenly made out a large oval shape. Turtle! We then spent 15 minutes swimming with it; after a short break on the beach, we headed back in and came across two more. They’re not afraid at all, in fact they almost seemed to be curious about us. A truly amazing experience – one of the highlights of our trip to Indonesia.